You can play a part in selecting the individuals who will receive Drum Corps International's most prestigious honor in 2018. The DCI Hall of Fame is where the legends of drum corps are celebrated for the indelible impressions they leave on the marching music activity. Each year you have the special opportunity to be an integral part of the award process by submitting a letter of nomination and support for those who you deem worthy. Over the winter, nomination letters are collected and reviewed before an election by current DCI Hall of Fame members and corps directors is held. Individuals fall into two categories for nominations: those for the “Legacy Category” (any person who has been inactive in a principal role with one or more drum corps or inactive in any role within the drum corps activity for 25 or more years) and those for the “Contemporary Category.” Candidates are inducted into one Hall of Fame, however, the nominations are voted upon separately in these two distinct categories. After the nomination and voting process, by springtime, an all-new DCI Hall of Fame class is announced. In August, celebrations get underway to welcome and congratulate the inductees at the DCI World Championships in Indianapolis. A deadline of Thursday, February 15, is in place for all 2018 Hall of Fame nominations. 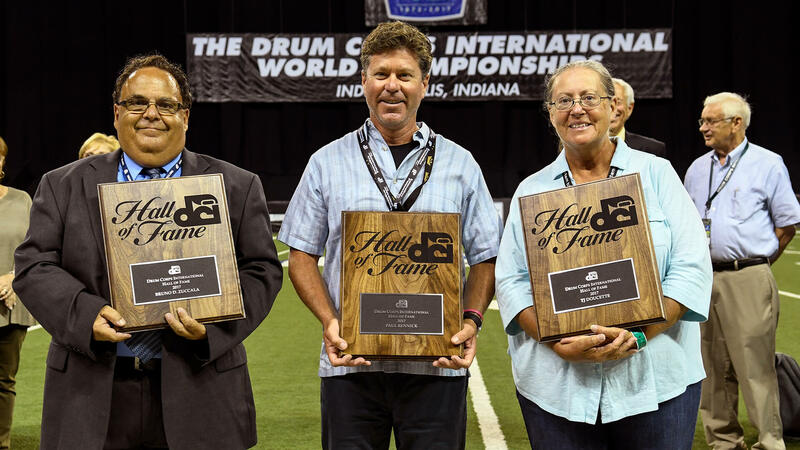 View a list of all DCI Hall of Fame members.